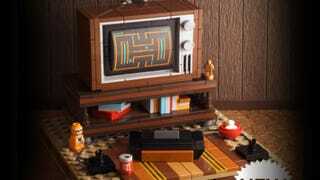 Chris "Powerpig" McVeigh is a LEGO builder of no small repute, specialising in micro-builds of familiar things. This is "My Old Basement (Pixel Edition)" which you can pre-order for $89.50 (£60). And does what he calls "brick sketches." Check out his site for more.